“The Old Court House Café has become a real focal point in the local community with many adopting it as their regular meet-up location, “ said Café manager Cerys Sullivan. 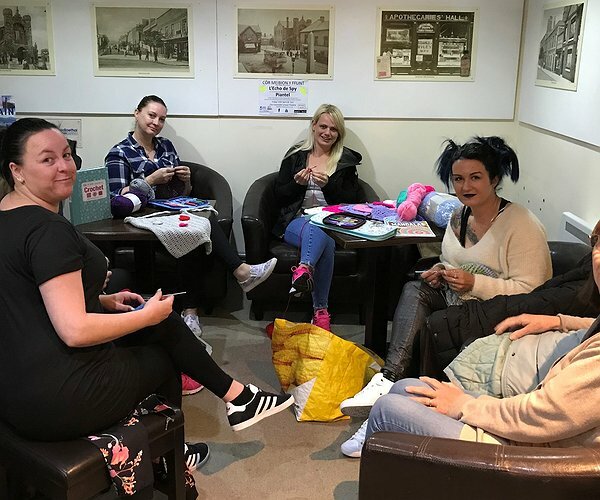 “The Knit and natter group is open to all and completely free for anyone to drop into and there’s 10% of all our food and drink to anyone attending. “The Wednesday Group is well-established now, meeting between 11 am and 1 pm and we’re just trying out an extra session on Saturday morning at 11 am too,” added Cerys. Louise Blackwell, Community Development Officer for Clwyd Alyn Housing Association who manage the premises in Church Street Flint said: “It’s brilliant to see how the café culture has really taken off as a social meeting place, as well as a venue for enjoying a cuppa – we’d like to thank all our customers, as well as the staff, for creating such a welcoming atmosphere. "Find out more about Llys Raddington homes"